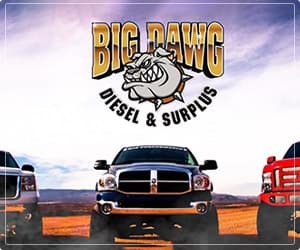 Big Dawg Diesel and Surplus is a wholesale distributor of brand new and remanufactured injectors, pumps and related diesel engine components. With 33 years of extensive experience in the automotive industry, we provide quality parts for Dodge, Ford, Chevy/GMC, etc. car manufacturers. We add new items every week from OEM and Tier 1 suppliers, we offer various deals throughout the year and you’ll love our exclusive monthly sales. You can easily get branded components straight from our store from ARP, Common Goods, Garrette/Rotomaster, OFS, Sagaform, etc.